Free Shipping Included! 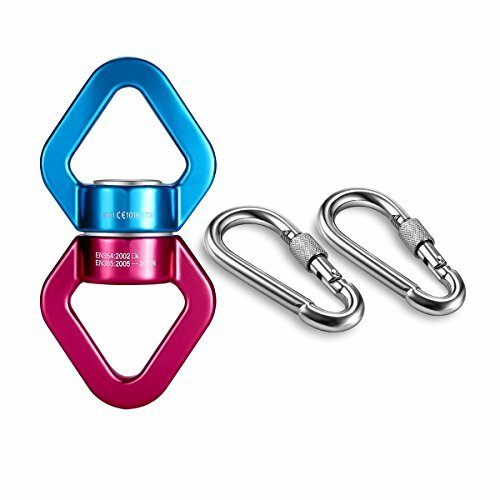 mdairc Safety Rotational Device, Aluminum Alloy Double-Ball Bearing Swivel, Holds Up 8500+ Lbs, Minimum Breaking Strength 40 kN, Spins & Rotates 360° For Smooth Rope Climbing, Hiking & Exercise by mdairc at Wildly World. MPN: 43234-1900. Hurry! Limited time offer. Offer valid only while supplies last. If you have any questions about this product by mdairc, contact us by completing and submitting the form below. If you are looking for a specif part number, please include it with your message.